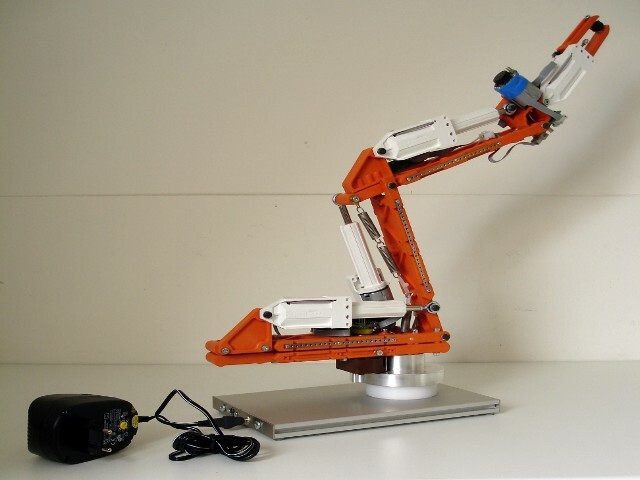 The Teach-robot is a 5-axis robot, specially developed for educational purposes. The controls can function independently, and the drives and encoders are accessible. The arts are made from glass fibre reinforced plastic. Replacement of parts is easy and does not take much time. 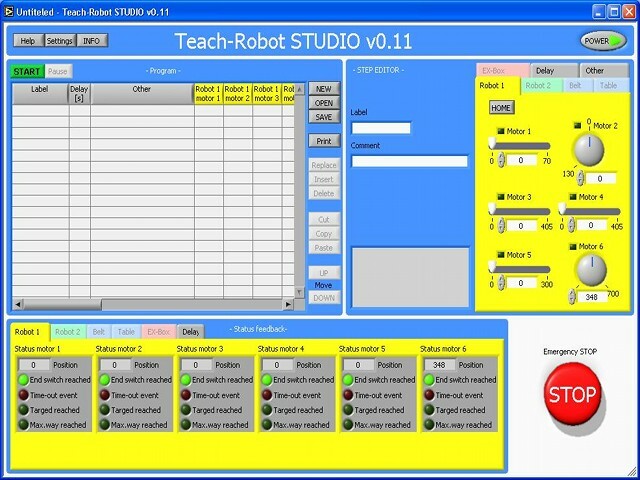 The Teach-robot is maintenance free. 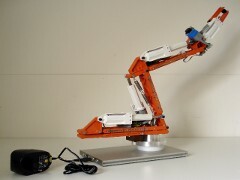 The (blue) Teachrobot has its "own" bus system and the (orange) Teach-robot Plus has the Modbus system. This is a screen from the new control system. With this software version it is possible to expand the system in the future. These parts are available but not activated at the moment. 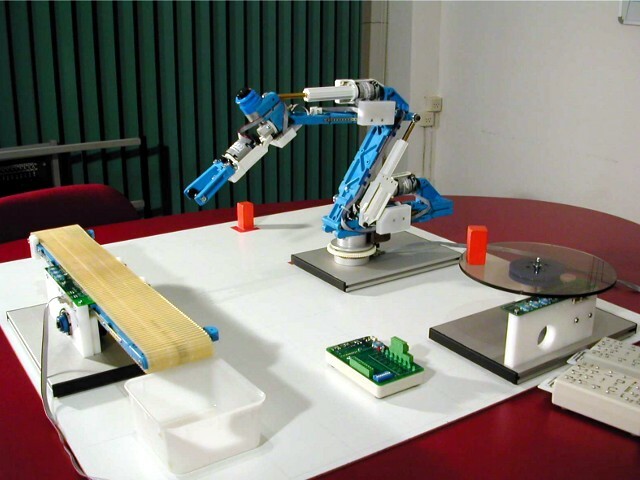 The development of the Teach-robot has been going onwards the last couple of years and have resulted in a new robot: The Teach-Robot Plus. From many users we got the question if it was possible to use a open bus technology with the robot. By developing new hardware we can now supply the robot with open bus technology. The robot now uses the standard bus protocol Mod-Bus.